Disruptor Beam, the developer behind the Game of Thrones Ascent mobile game, is switching from fantasy to sci-fi. The upcoming Star Trek: Timelines is a game that mixes all of the original Trek franchises in a big continuity-warping time bubble. That notably excludes the Star Trek timeline from the new J.J. Abrams movies - either Paramount doesn't want to mix its newest properties with the old stuff, or Disruptor Beam recognizes the new movies for the complete bags of targ crap that they are. The game was announced last year, but a new developer video sheds a little light on the gameplay and the design process. Oh, and and all-powerful cosmic trickster Q (in his earthly disguise as actor John De Lancie) shows up too. As a life-long Star Trek fan, I am cautiously optimistic. 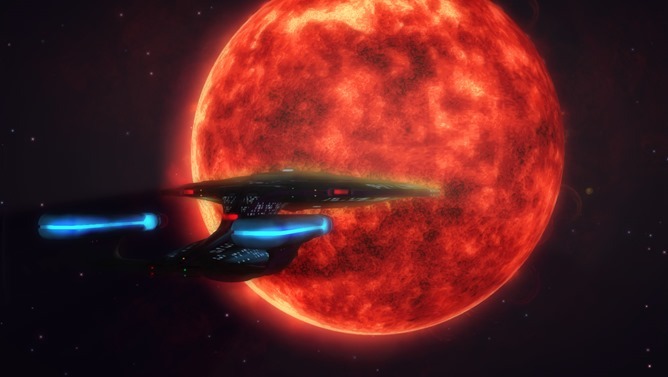 What little gameplay has been shown seems to positively wallow in the deep and wide Trek lore, with creative takes on classic episode stories mixed together in a blender like a good Peter David novel. The setup is broadly strategy-RPG, with you playing the captain and utilizing your ship and your crew to achieve the mission. And refreshingly, those missions aren't simply "shoot everything that moves" - there will be scientific and diplomatic solutions to your problems as well. Unless you're playing as classic Kirk, in which case (I assume) you try to seduce anything that's vaguely bipedal. 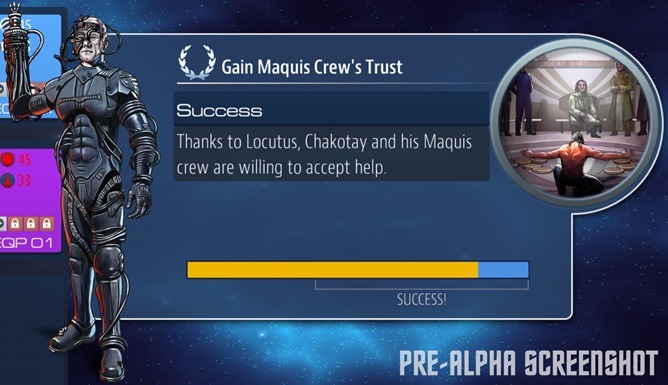 As an example, at one point you'll have to mediate a Maquis conflict and decide whether they've earned a chance at creating an independent government. I am Locutus of Borg. You will respond to my questions... and gain 62 experience points. Timelines will feature turn-based combat, PvP and co-op multiplayer, and characters and ships from all five Star Trek television series. In addition, the developers are cramming the in-game universe with physics models based on real cosmology. That said, it's not all looking rosy: Game of Thrones Ascent includes some pretty blatant pay-to-win mechanics, and the Unity engine that the developers are relying on is known to be inefficient on Android (especially for 3D graphics). Star Trek: Timelines doesn't have a confirmed release date yet, though the developer website says that a closed beta is coming.